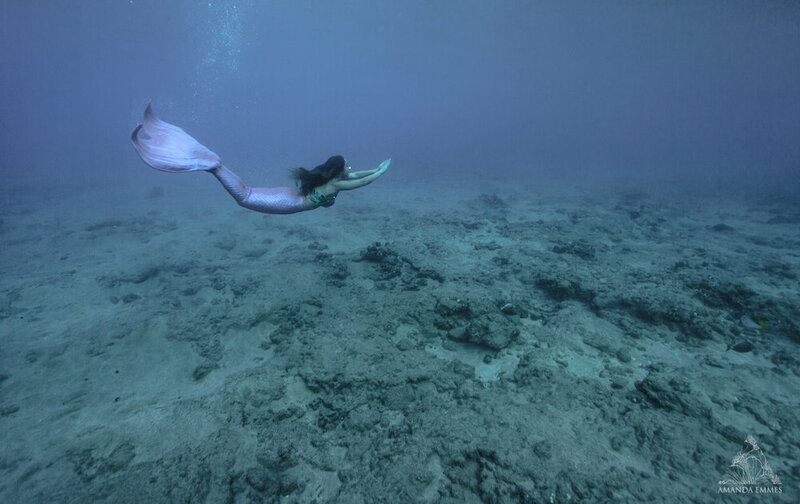 Ever since Courtney was a child, she's been absolutely crazy about mermaids - so much so, that she now works part-time as a mermaid back home in California, making children, and I'm sure adults, smile from ear to ear with her beautiful personality and of course, mermaid tail. Now of course, this is just something she absolutely loves doing and it's only been a huge part of her childhood and now, adulthood, so what more appropriate than for her boyfriend Bo to surprise her with her own mermaid photoshoot! Did I mention it was her birthday too? Naturally, I brought along my cameras to capture all the goodness the day had to offer, but what I ended up capturing was my amazing friend Sabine, emerging as the most beautiful mermaid ever.